Ecosummit Market is the open platform for smart green startups. Early and late stage startups may create public company profiles to support fundraising, recruiting and business development. 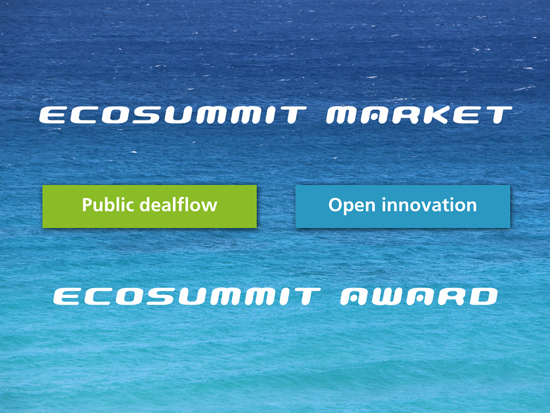 Thus Ecosummit Market fosters public dealflow and open innovation for investors and corporates. We also use Ecosummit Market to run Ecosummit Award. Ecosummit Market is open for all ecofriendly startups that are active in the low-carbon economy to improve global resource efficiency. We reserve the right to exclude companies that do not fulfil this requirement.